4407943 Cut Loose Solid Linen Pocket Pullover. This picture shows the back of this top. 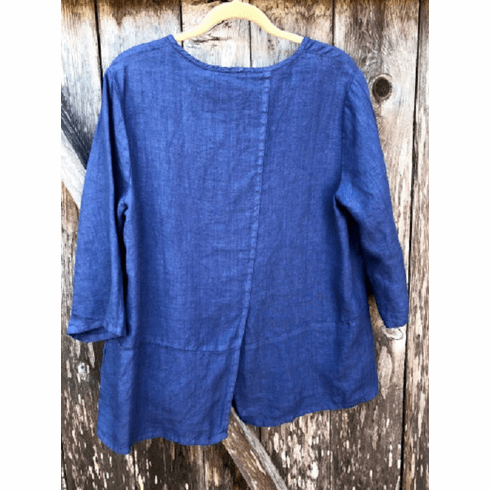 The front has a straight hemline with 2 horizontal in the seam pockets.100% Linen. Made in USA.